I started writing some helpful hints on putting together your Employee Theft Reduction Training and when I was finished, I realized that there were just so many more indicators of possible Employee Theft. As a business owner, you have a responsibility to your managers to provide the best training that you can. Not only do they need to help you hit your sales goals, they need to learn how to spot dishonest employees. 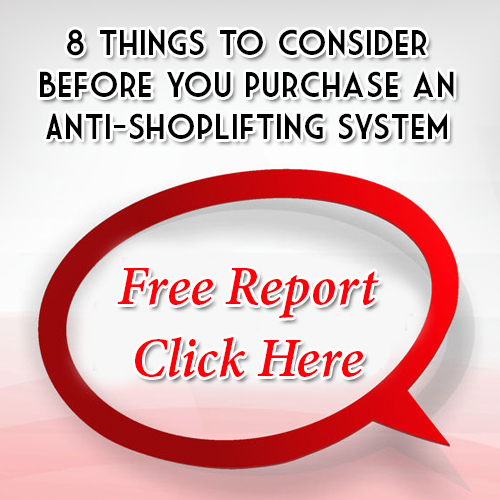 While not all of these behaviors will indicate theft every time, I can assure you that in every theft you encounter, one of these behaviors will be observed. While these seems obvious, I’m not talking about $200. Cashiers that are always $5 or less short should be a cause for concern. Perhaps they are stealing a few bucks a day for a hamburger, or it could be even more nefarious. Those small shortages are very commonly seen in cases of refund fraud. When a cashier conducts a refund for a customer that doesn’t exist, my experience tells me that they only steal the cash, and leave the change, making their tills short by a few dollars each night. While you want and need employees to be cross trained to better assist your customers in all areas of the store, employees that are often found “wandering” without customers can be an indicator of Employee Theft. If there is not a reasonable explanation for an employee to be a certain area of the store, chances are they are doing something they shouldn’t be. Part of your Employee Theft Reduction Training should also include polices designed to make it hard for employees to steal from you. This includes prohibitions on storing personal effects on your sales floor. Bags of any kind can be a perfect way to quickly and discreetly hide merchandise. Honestly, some employees are just plain lazy and will often disappear to do lazy things, like sleep. However, this could also be a tell-tale sign of Employee Theft. Employees who simply vanish for blocks of time could be using this opportunity to steal merchandise from you, in addition to stealing payroll. Constant circulation by your managers and a good task load can and will prevent the David Copperfield’ in your store. If you sell impulse snacks and drinks (and if you don’t you should! ), be mindful of employees that always seem to have a drink. Are you certain that it was paid for? Part of your Employee Theft Reduction Training should include guidance and policy that states consumable items should have the sales receipt taped/stapled to the product at all times. While a $.99 bottle water may not sound like a lot, if every employee took a bottle a day for an entire year, assuming you have 10 employees, that’s a loss of over $3,600.